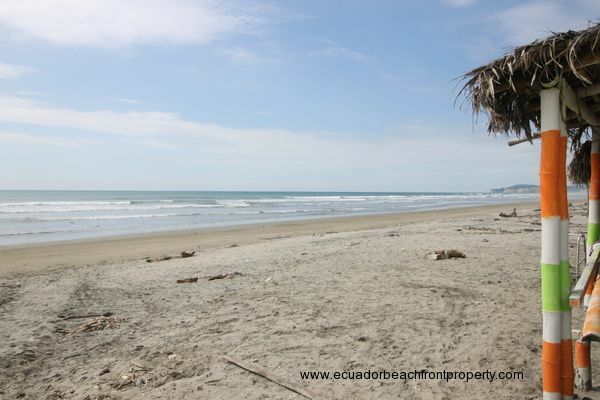 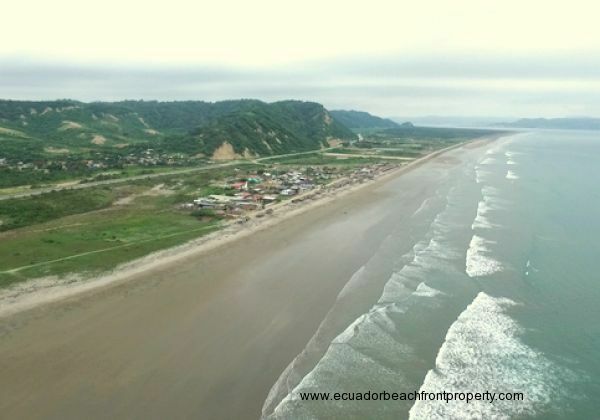 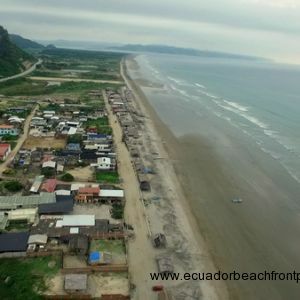 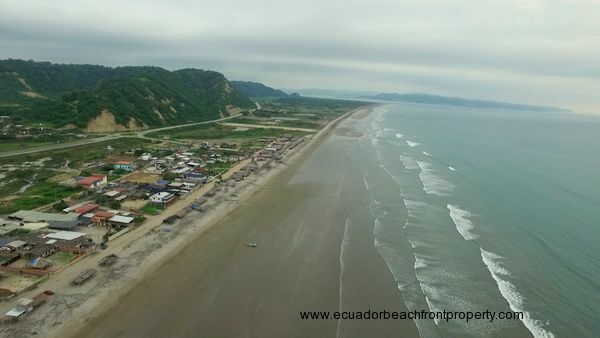 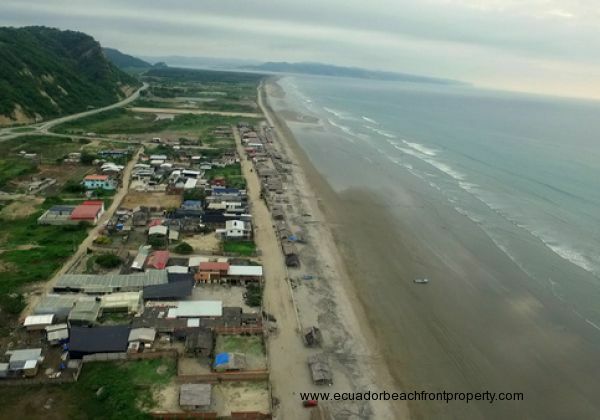 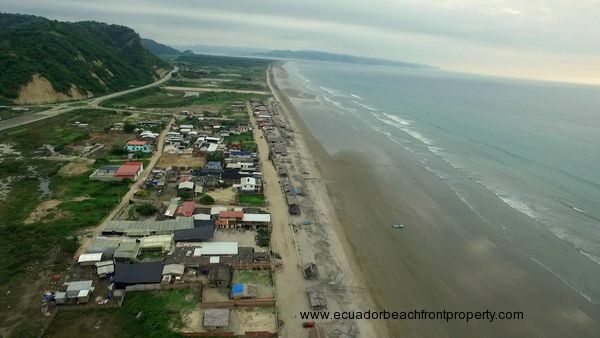 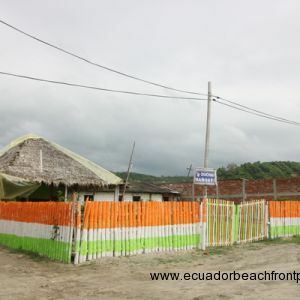 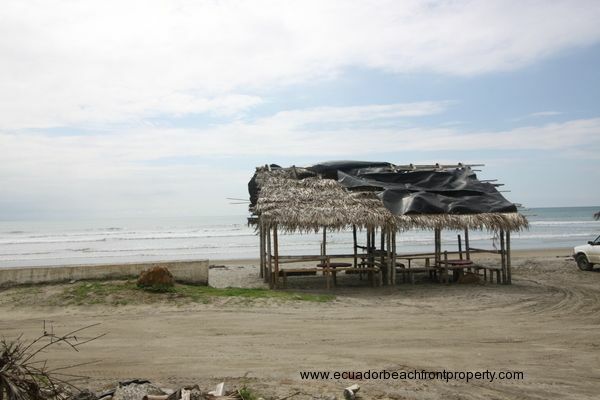 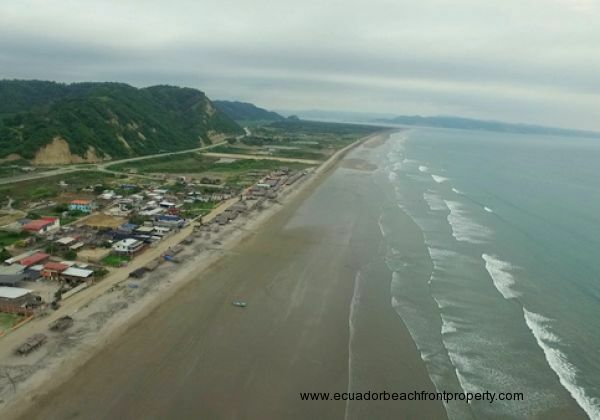 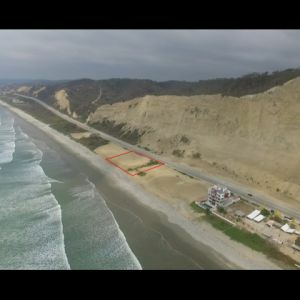 Beachfront Lot in Briceno - Plenty of Space for Your Home or Business. LIVE and PLAY by the SEA- only $39,900 USD. 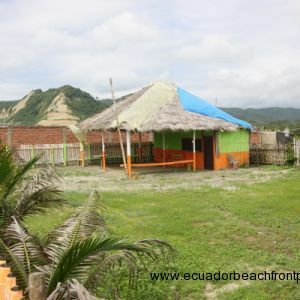 This beachfront corner lot has 69 feet of beachfront, is fenced, and has a small bamboo and thatch structure. 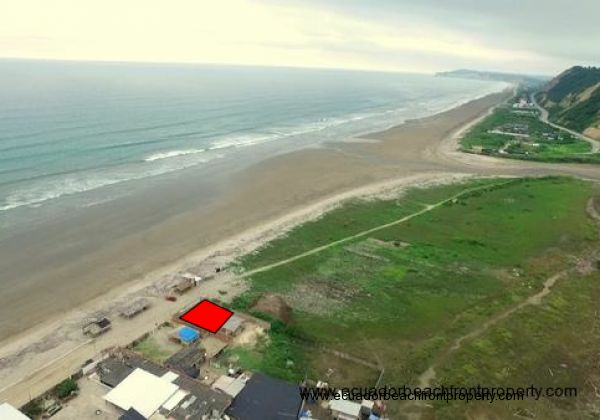 This $39,900 beachfront corner lot is ready for your build. 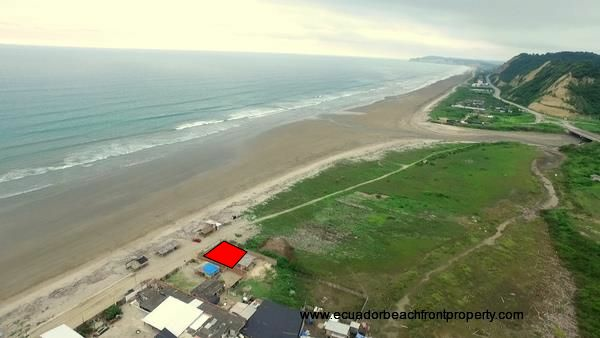 It has 69 ft of beachfront and is 56 ft deep (21 m x 17 m). 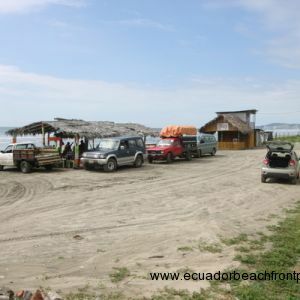 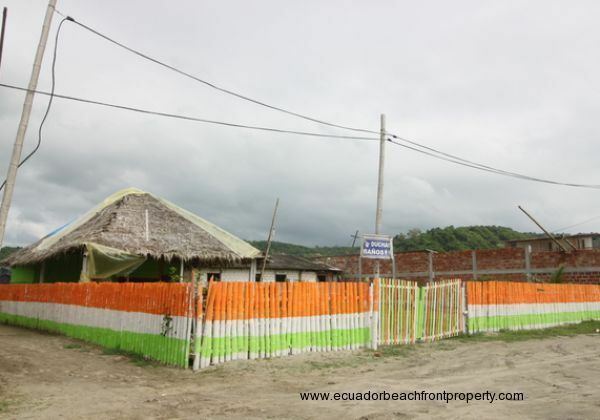 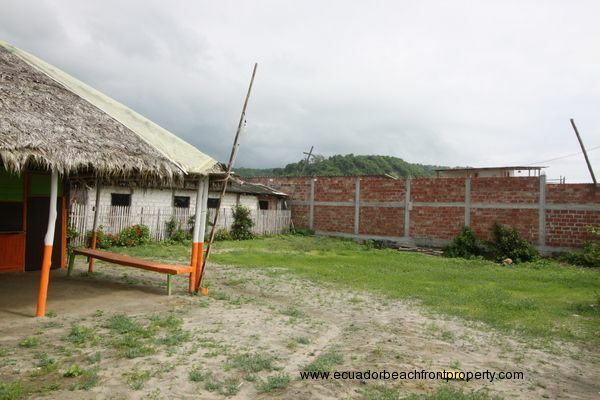 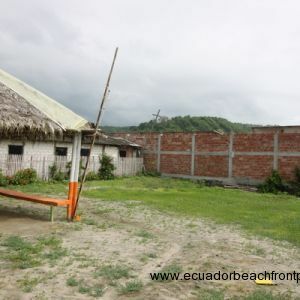 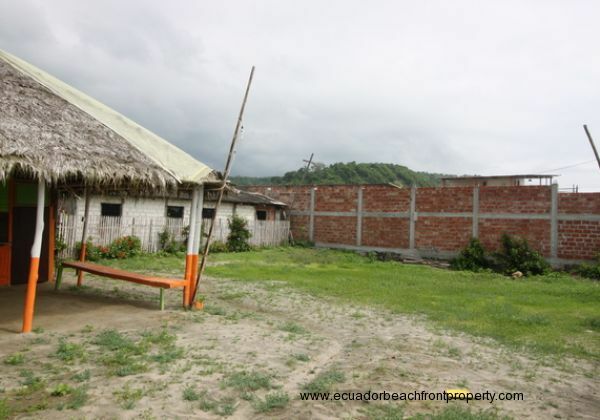 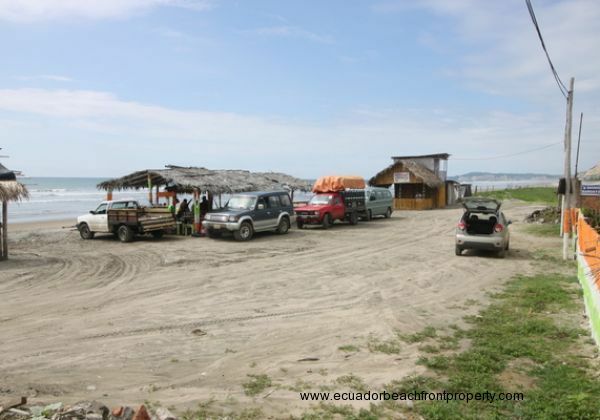 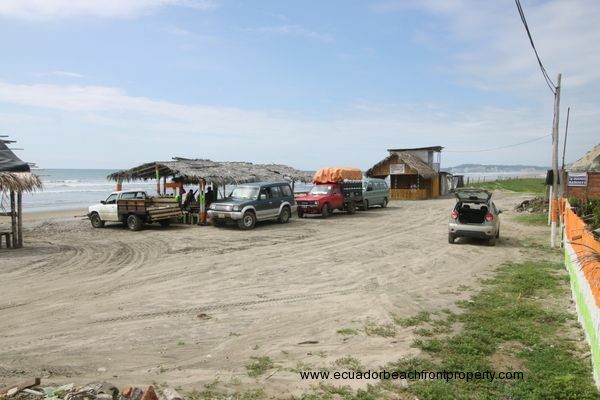 The lot is located on the northern end of the small fishing village of Briceno. 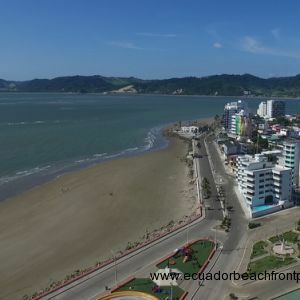 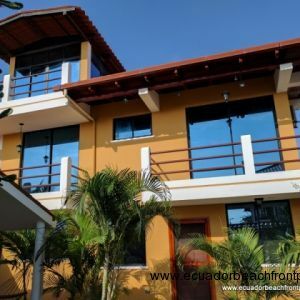 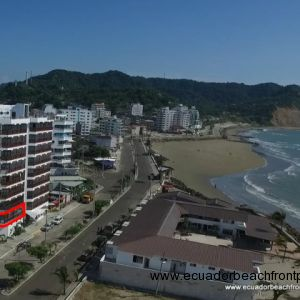 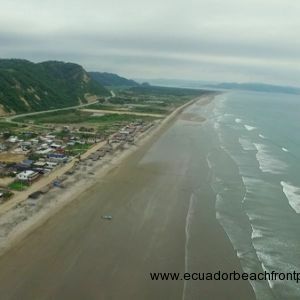 The city of Bahia is located 15 minutes to the south and has a major shopping center and medical facilities while 5 minutes to the north is the popular surf town of Canoa featuring a plethora of eclectic bars and restaurants. 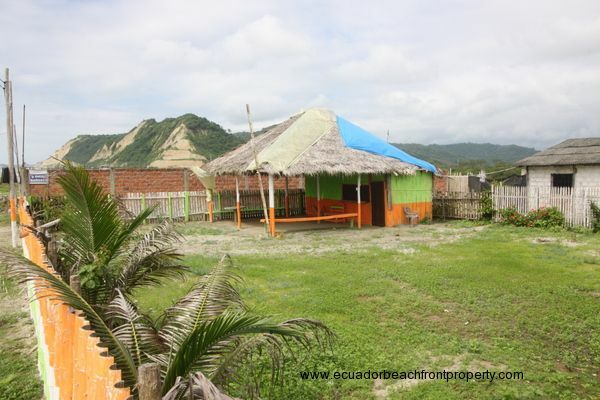 The lot is fenced and has a small bamboo and thatch structure. 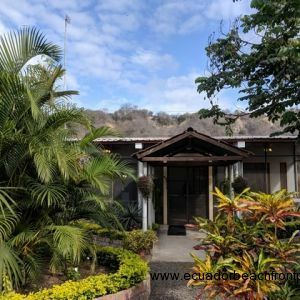 Young coconut palms line the front of the lot. 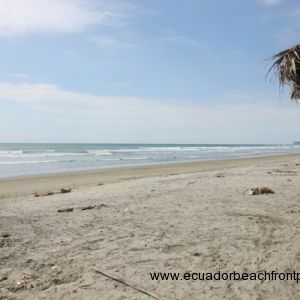 Out front is a wide, sandy beach. 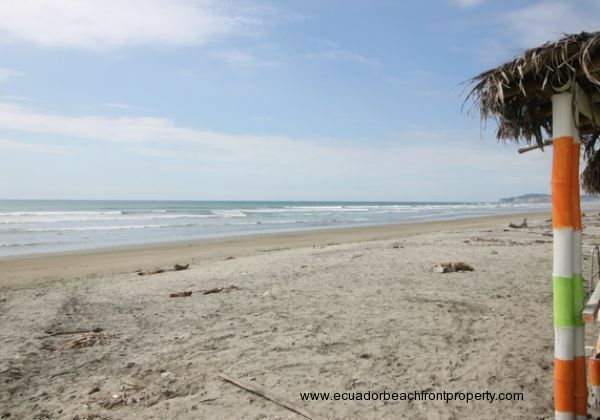 The water is warm and swimmable year round. 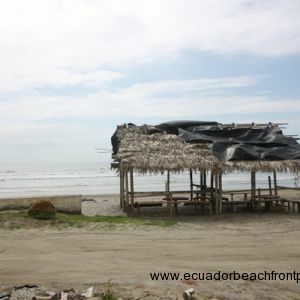 This would be a great spot for a surfer's getaway or a B&B. 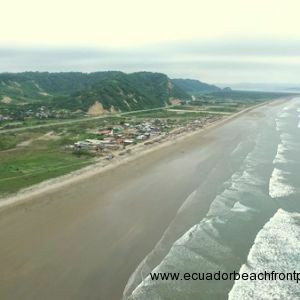 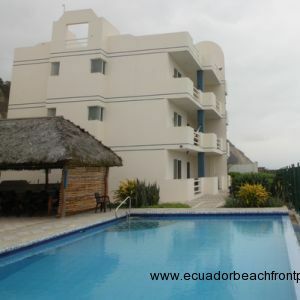 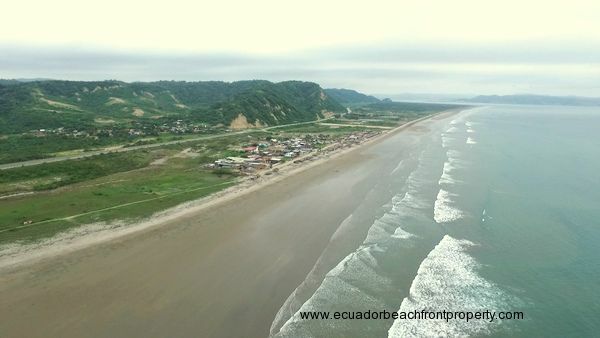 Ecuador is easily accessible from the USA with direct flights from Florida, Houston, Atlanta. 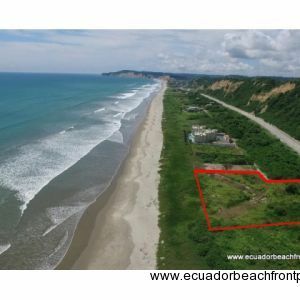 Make sure to get in touch with us to schedule a showing or to answer any questions that you might have. 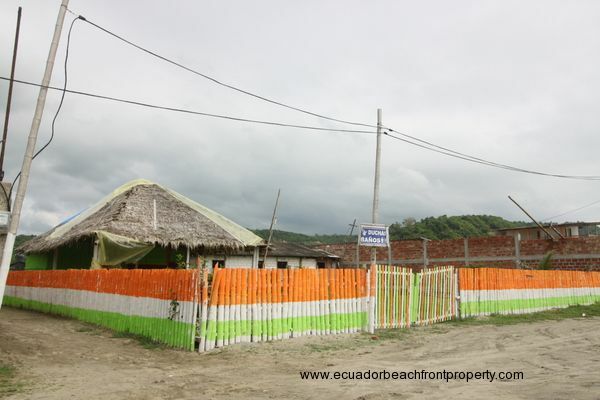 Yes, we can recommend local builders! 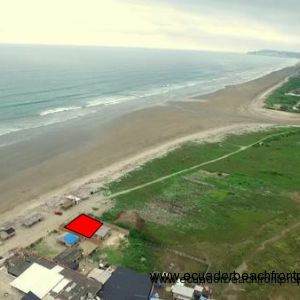 I would like more information regarding the property Beachfront Lot in Briceno - Plenty of Space for Your Home or Business.